The wonderful thing about the M&P Shield 40 M2.0 is that it's endlessly packable. It's designed so you can carry it every day. However, a lot of people won't, and do you know why not? They don't have the right M&P Shield 40 M2.0 holster. Oh, you can get one that works well a good amount of the time. 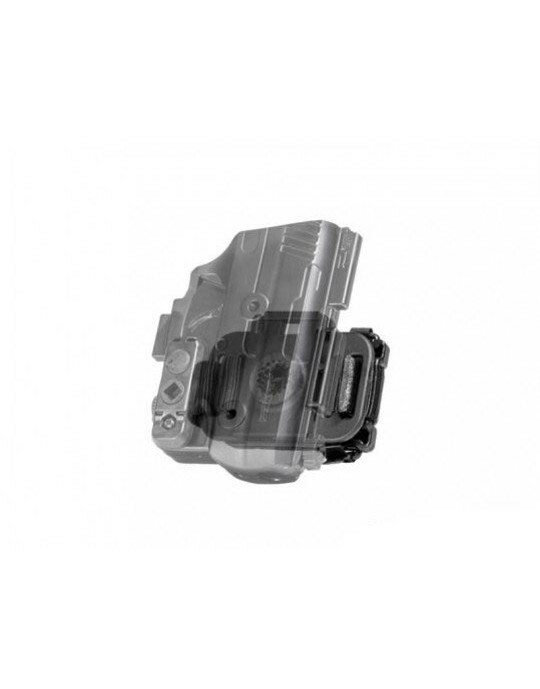 A decent Shield 40 2.0 IWB holster will take care of most of your day-to-day. Concealing is easy, and a decent belt keeps it held in place. But what about when the typical IWB isn't practical or isn't what how you want to carry? For some people, carrying is part of a lifestyle and multiple options are needed. 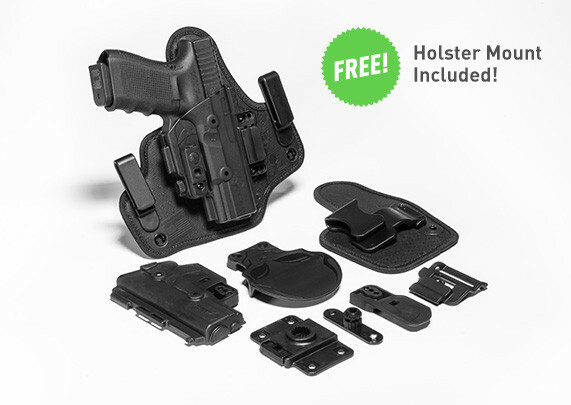 Besides one holster for typical daily carry, they may also want a Shield 40 M2.0 appendix carry holster for those times when a traditional IWB isn't necessarily desired. 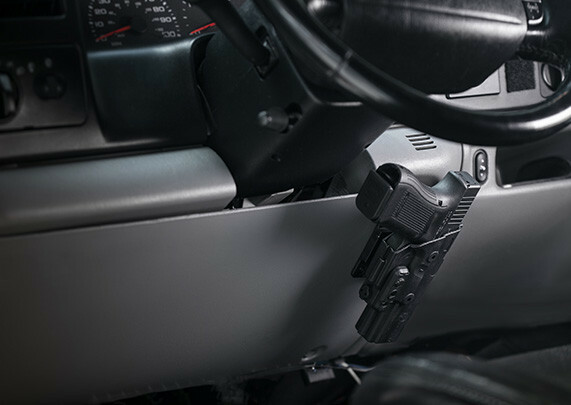 A grab-and-go concealed carry rig can be a great benefit at times. That's exactly what the ShapeShift Modular Holster System is designed to do: give you the options you want when you want them. The unique design of the ShapeShift allows you to change configurations at a moment's notice, and without the use of tools. This is the ultimate tool in fitting carry to your lifestyle. Shield 40 M2.0 4.0 IWB Holster: a traditional IWB holster, perfect for concealed carry. Designed to carry comfortably in any situation. 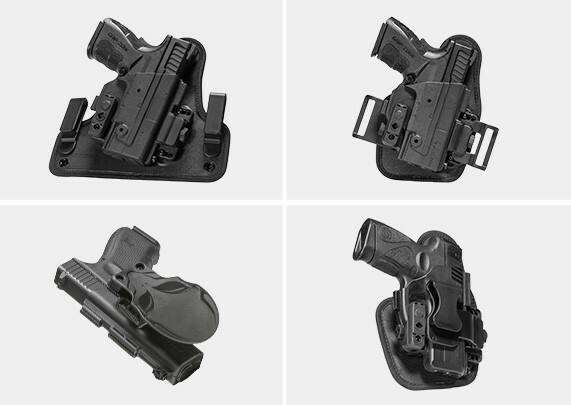 Shield 40 M2.0 Appendix Carry Holster: an appendix IWB holster, with many of the refinements of the 4.0 IWB holster such as the comfortable base and full-wrap holster shell. 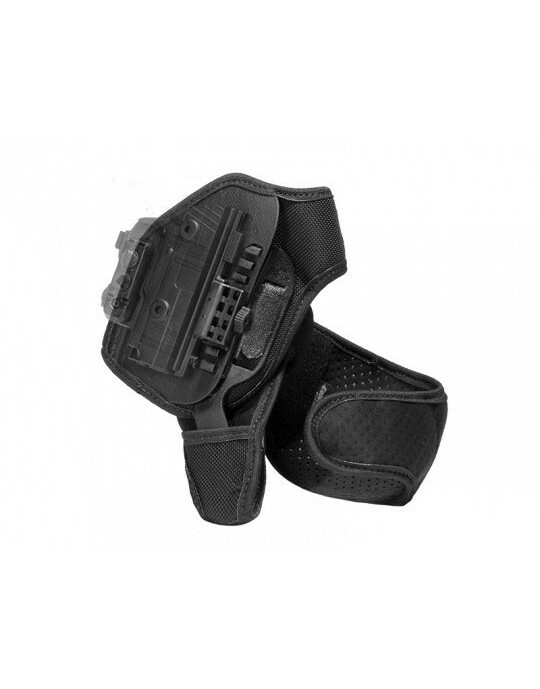 Shield 40 M2.0 Belt Slide OWB: a high-riding belt slide holster, sitting on the same comfortable base as the Appendix Carry Holster. Perfect for OWB concealment. Shield 40 M2.0 Paddle OWB Holster: the ultimate OWB, with a full-wrap construction. Customizable retention and can be worn with the durable paddle or a belt slide. Can be worn with an active retention device or without. All models can be adjusted for passive retention, and select models can be adjusted for grip cant as well. Carry how you want, when you want. Along with the features, the ShapeShift comes with Alien Gear's Iron-Clad Guarantee, including a 30 Day Test Drive trial period and Forever Warranty. Shift to a better way to carry.